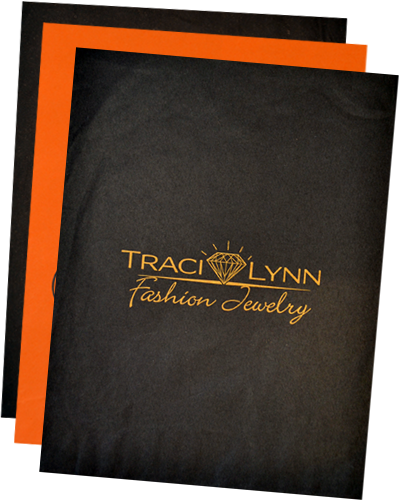 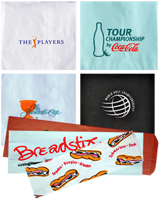 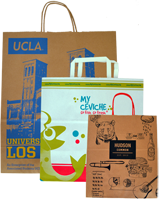 We offer a full line of custom printed food service and retail bags. 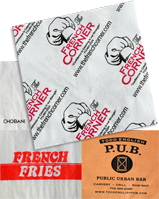 Our custom printed Sandwich Bags, To Go Bags, Handle Shopping Bags, French Fry Bags, Hot Dog Bags, and Gourmet Bags are the perfect way to extend your marketing message well beyond the front doors of your store! 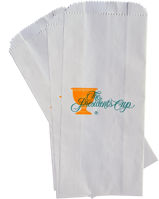 Minimum order requirements start as low as 3,000 bags for some styles. 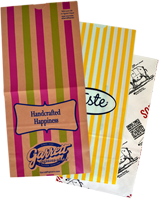 The max color output for most bag styles is 3 spot PMS colors and full coverage printing is available.